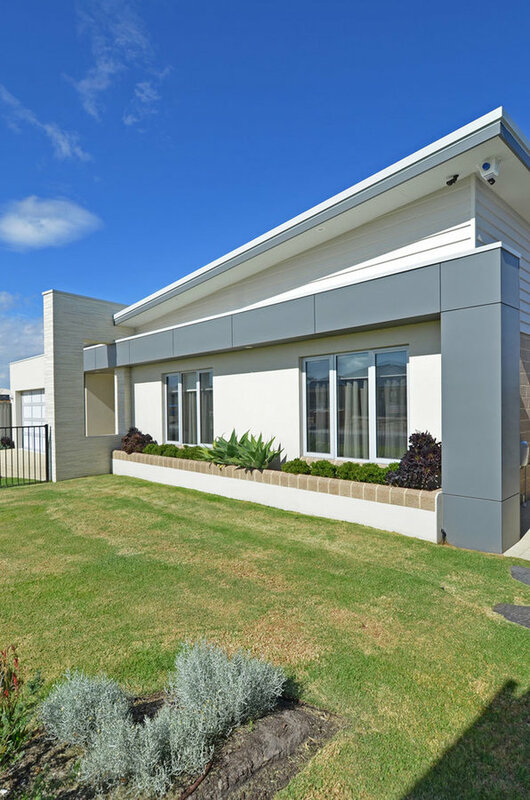 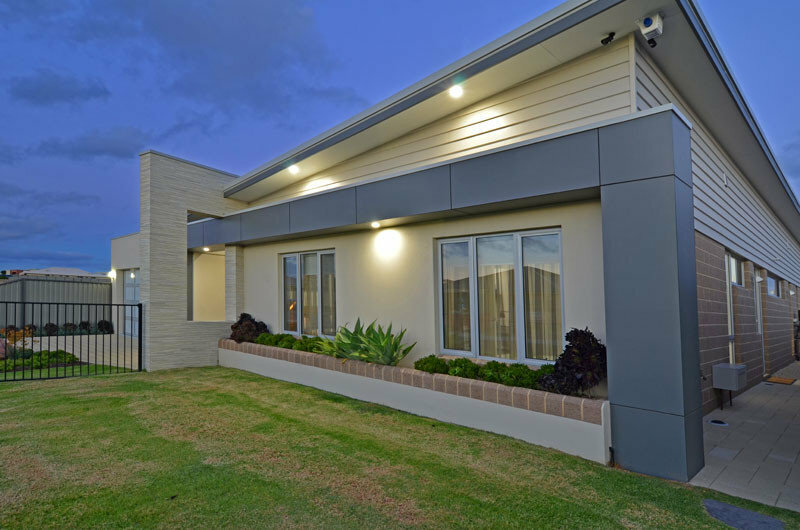 Display Home for Pocock Building Company in Albany Western Australia showcasing the builders point of difference with custom built homes with intricate facades and skillion roofs. 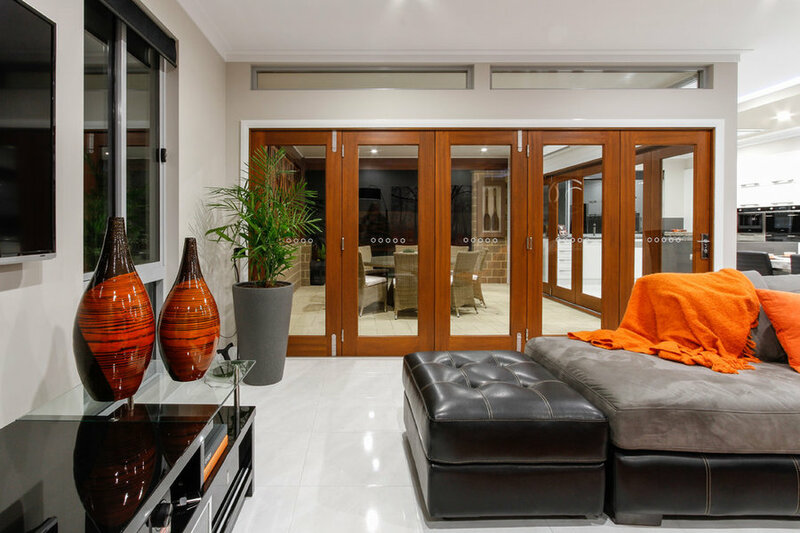 This home uses a mixture of different building materials. 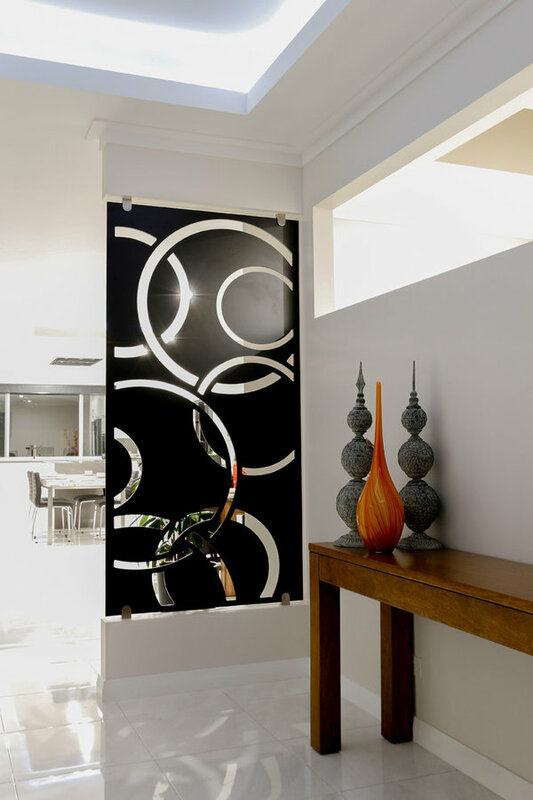 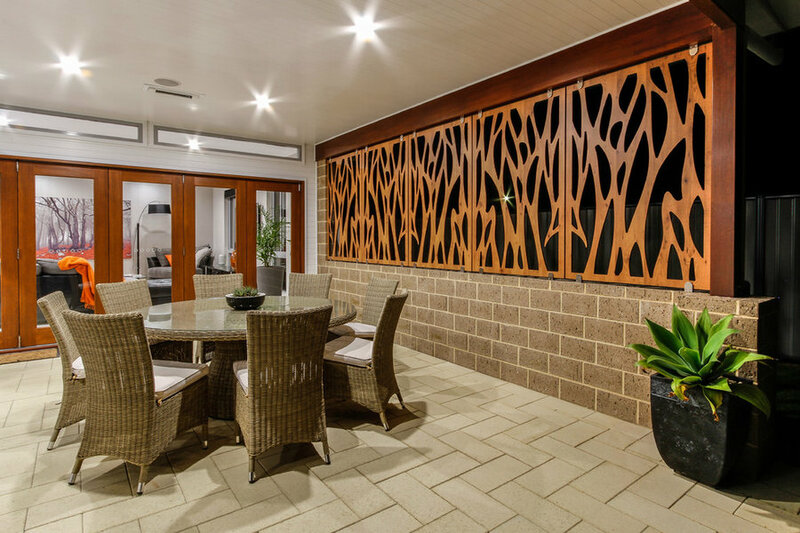 Display home designed by Dream Design Build for Pocock Building Company. 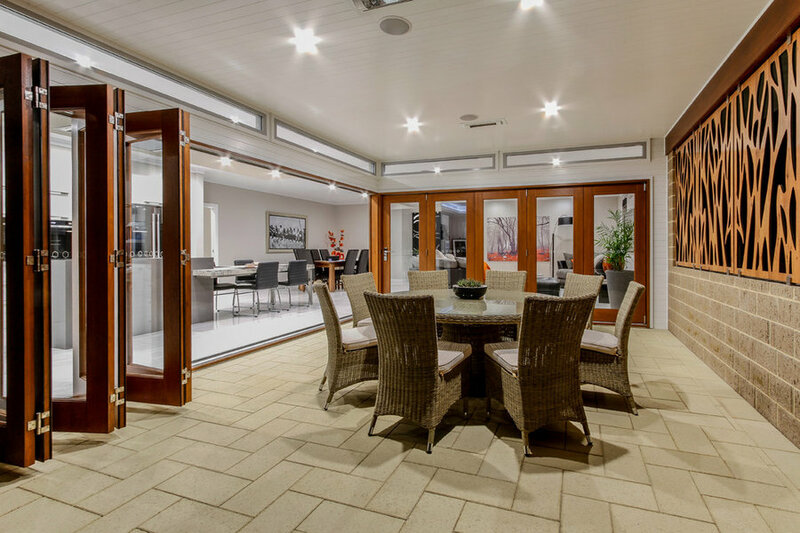 This home achieved an 8 Star Energy Efficiency Rating and provides a wonderfully open indoor/outdoor living experience. 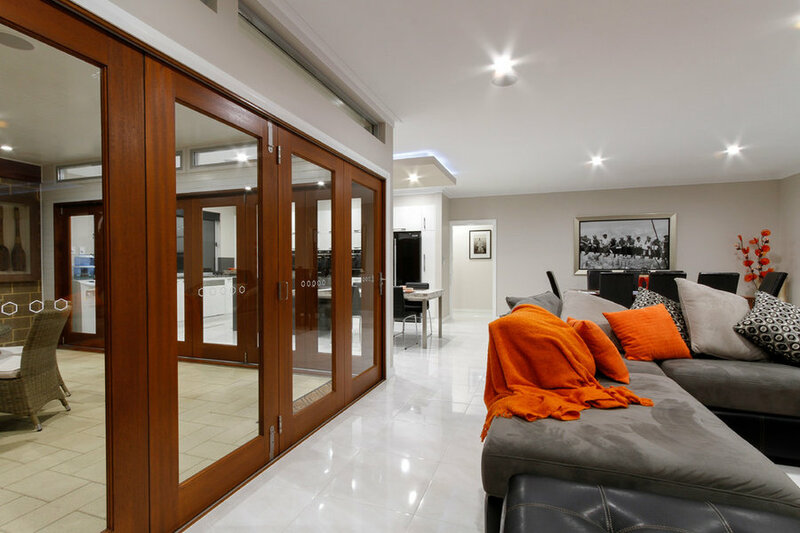 A Front Entry to remember. 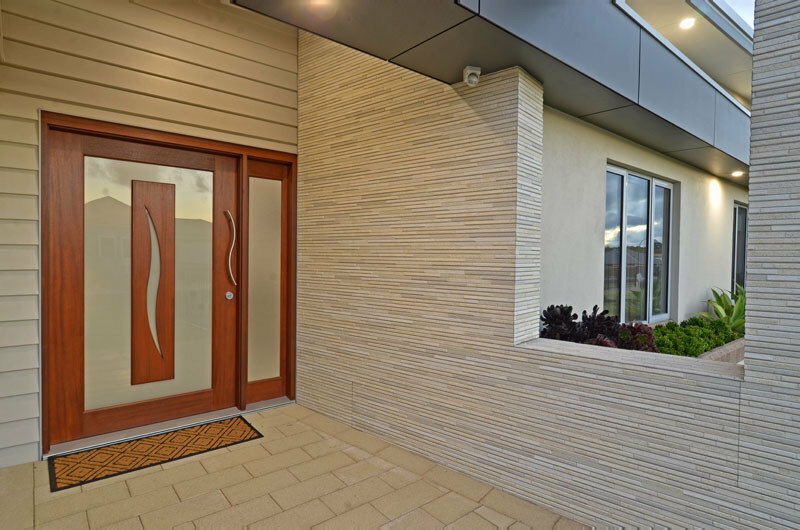 The Feature Stacked Stone Wall is angled and wraps around the feature Matrix Panel Band across the front of the home. 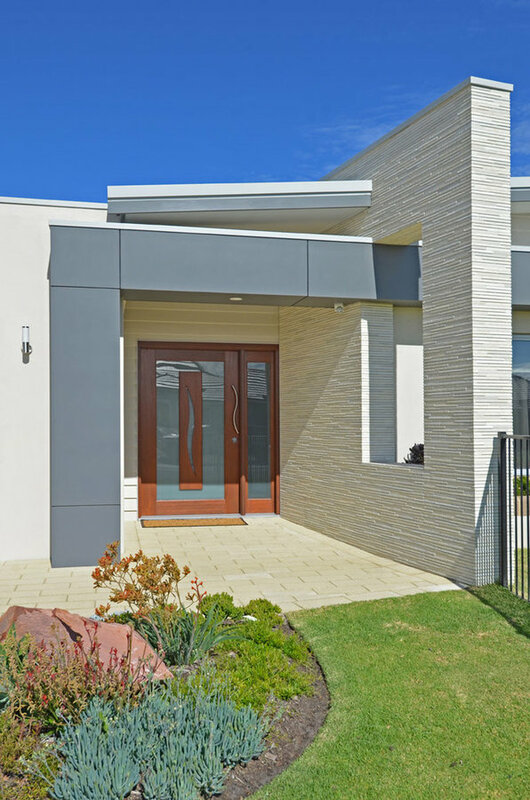 The Front Elevation with a Feature Stacked Stone Wall is angled and wraps around the feature Matrix Panel Band across the front of the home, with a Skillion Roof. 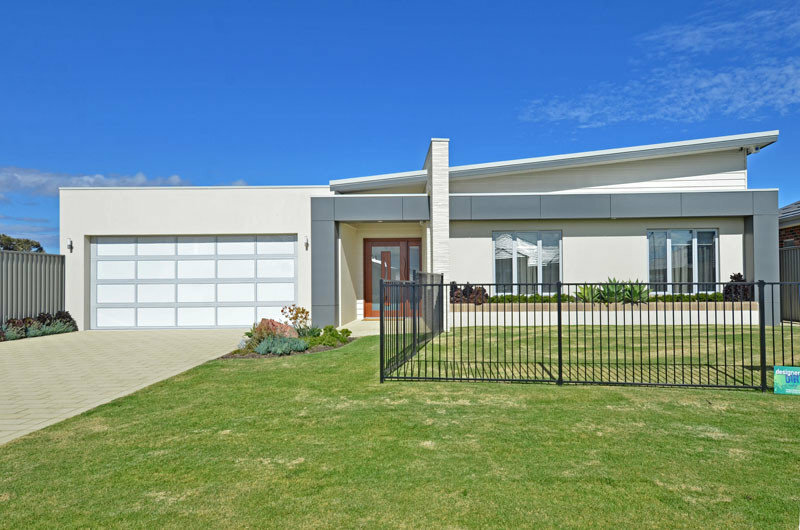 The Front Elevation with a Feature Stacked Stone Wall is angled and wraps around the feature Matrix Panel Band across the front of the home, with a Skillion Roof over the home and flat roof behind parapet wall over garage. 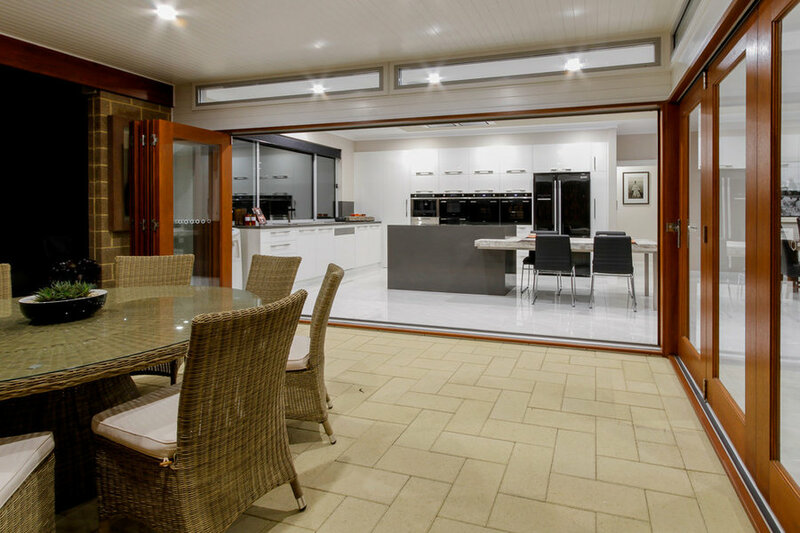 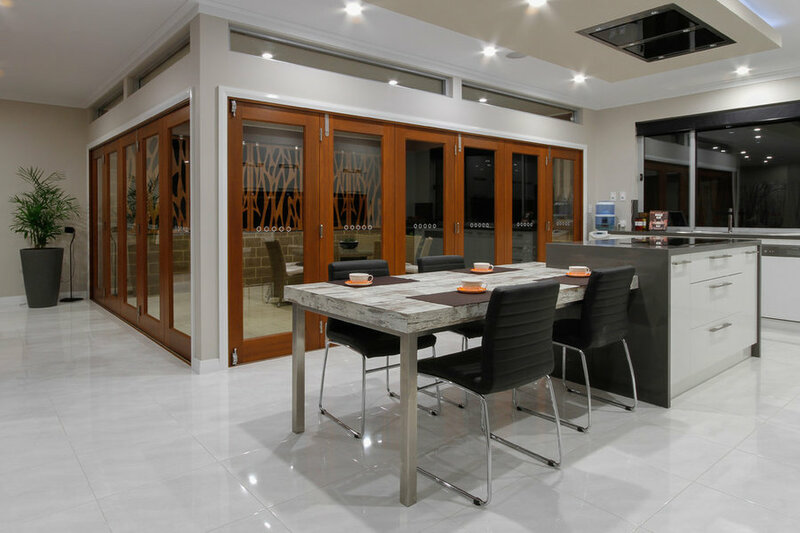 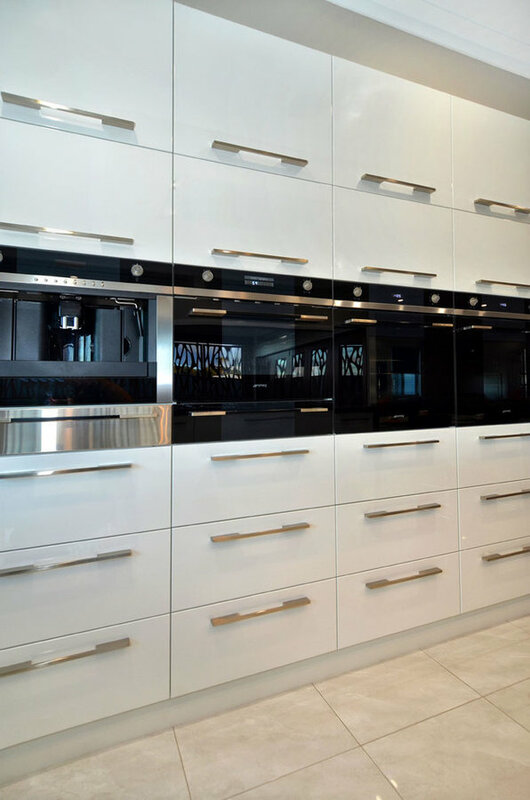 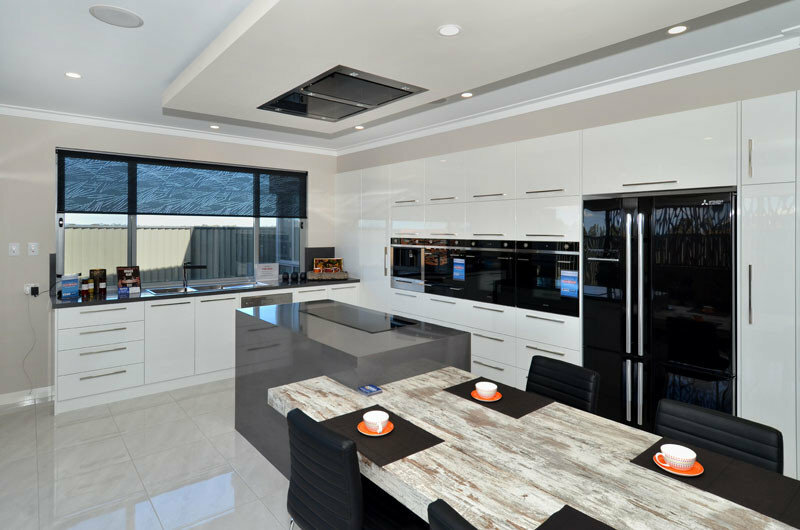 Kitchen and eat in dining area with a bank of wall ovens and loads of storage in Builders Display home. 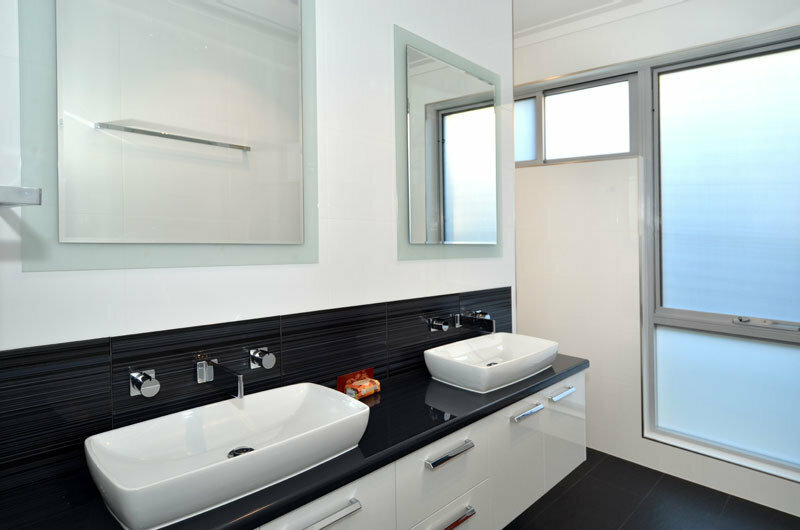 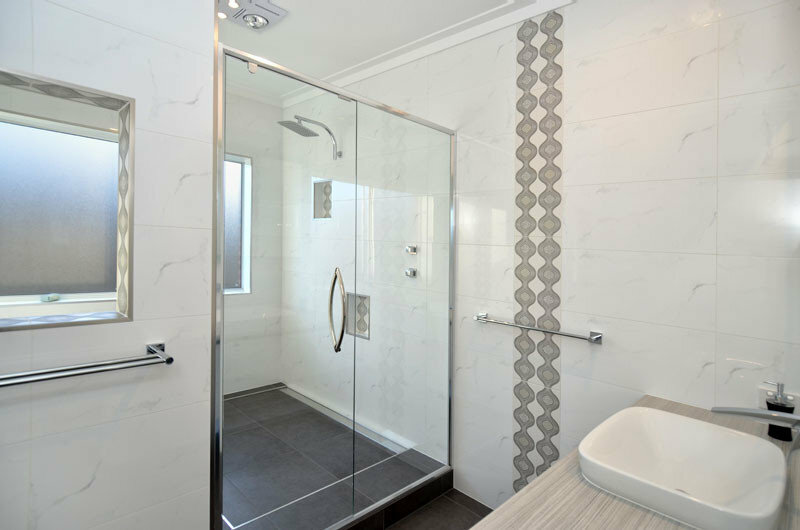 Family Bathroom, with a hugh walk-in-shower tucked behind the double vanity. 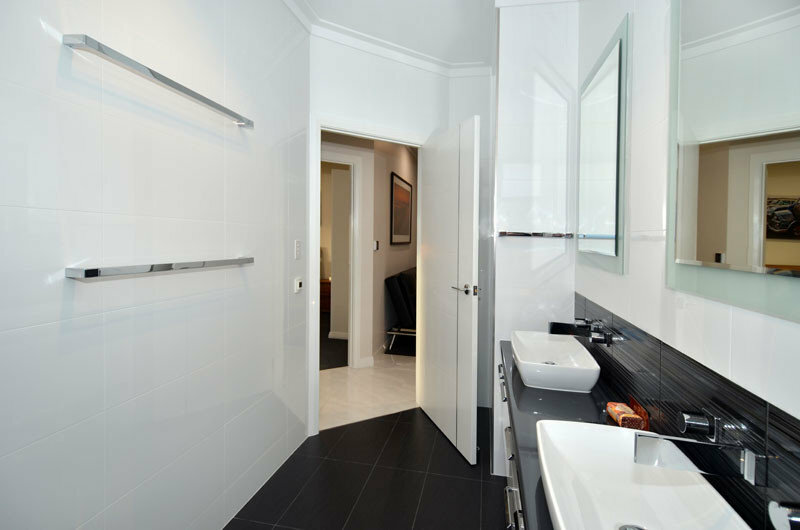 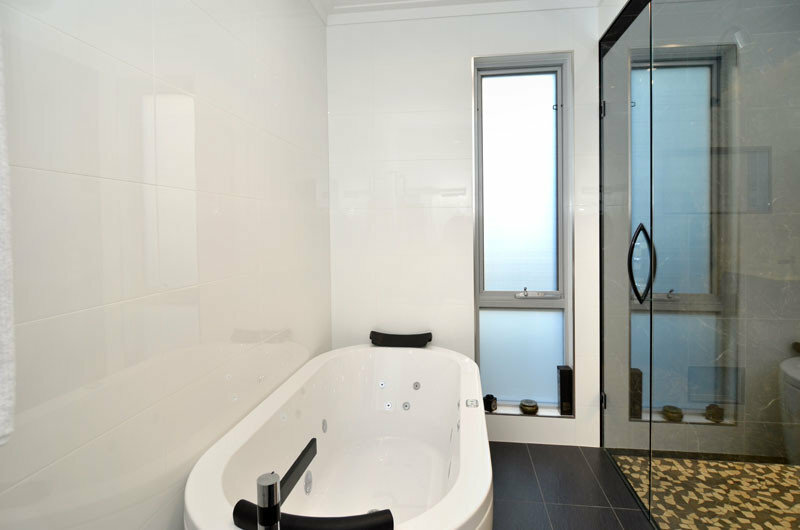 No bath was installed in this bathroom as the bath was installed in the Master Ensuite of the home. 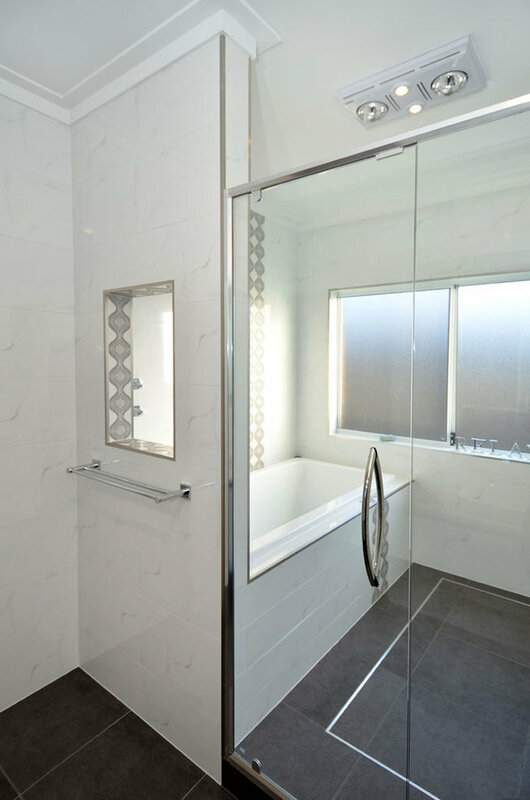 A bath and shower "wet-room" with niche opening. 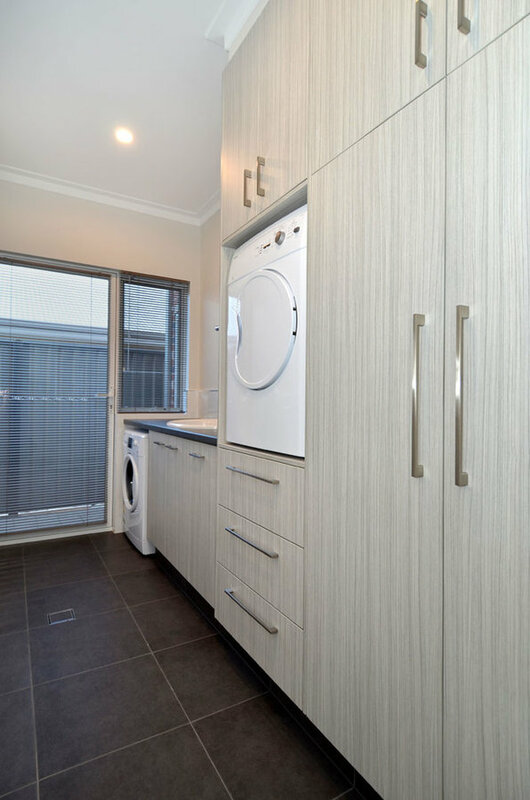 A large Laundry with lots of built-in-storage, The laundry has a built in dryer and under bench washing machine and a large Ceramic Laundry sink.